I am currently an Assistant Professor in the Department of Electrical and Computer Engineering at San Diego State University. Before joining SDSU, I spent 2 years as a Post-Doctoral Research Associate at The University of Texas at Dallas (UTD) from 2012 to 2014. I received my Ph.D. degree in Electrical Engineering at The University of Grenoble (now Grenoble Alps University), Grenoble, France in 2011. Upon that, I received my M.S. and B.S. degrees in Electrical Engineering from Joseph Fourier University (now Grenoble Alps University), in 2008 and 2006, respectively. I teach courses in the general area of VLSI testing/design. 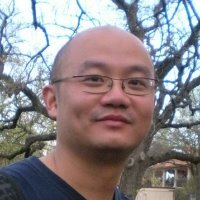 My research has mainly focused on applications of machine learning in trustworthy ICs, VLSI testing, computer-aided design, and intelligent vehicles.